Well, it is official. I literally could have paid for a trip to Paris with the amount of money I have spent in various races over the past year. I am not going to think about that - instead, I am going to be very excited for what is to come in February. I am officially running the 2014 runDisney Glass Slipper Challenge. I am beyond excited for this race. 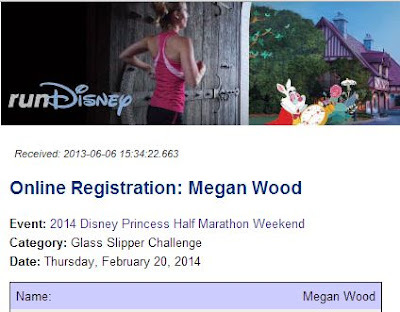 My very first 5K was during Princess weekend in 2012. I would have ran the Princess Half Marathon in 2013 but we opted to go on a race-cation to New Orleans instead. On February 23, 2014, I will officially be a princess, crown and all. During early registration, I had to select which princess was my favorite. How does a girl choose! I consulted the Princess expert, my 3 year old, Disney obsessed Niece Hailey. Looks like I am going to be Aurora - AKA Sleeping Beauty, straight from the princesses mouth. The 2014 Disney Princess Half Marathon Weekend offers multiple challenges for all levels of runners and registration is currently open for Annual Passholders and DVC members. If you are not an AP or DVC, open registration starts on June 11 at Noon - set a reminder on your calendars. 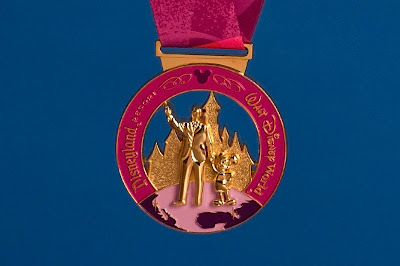 This race weekend will sell out in record timing with the addition of the inaugural Glass Slipper Challenge and Disney Princess Enchanted 10K. Just look at the past two events, Dumbo's Double Dare and Dopey's Challenge. A three-day long Disney’s Fit For A Princess Expo at ESPN Wide World of Sports Complex. 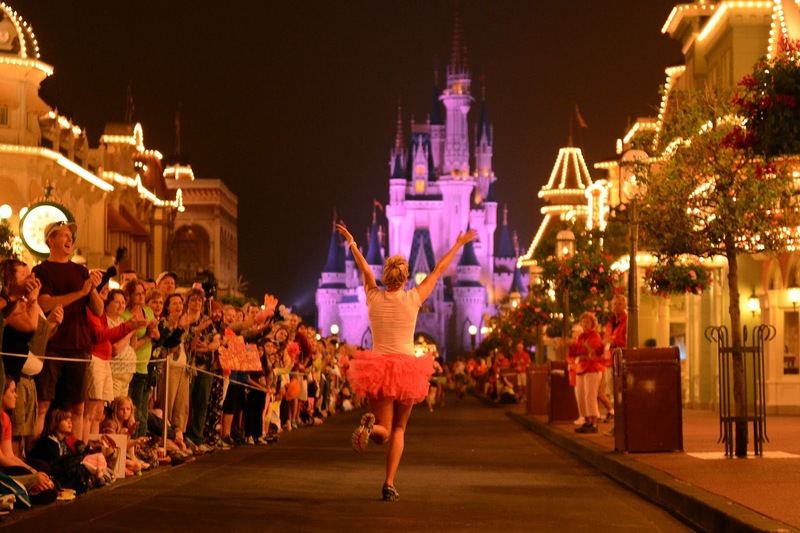 Good news to those who want to run Tinkerbell in 2014 - you can register early by adding it to your Princess order. 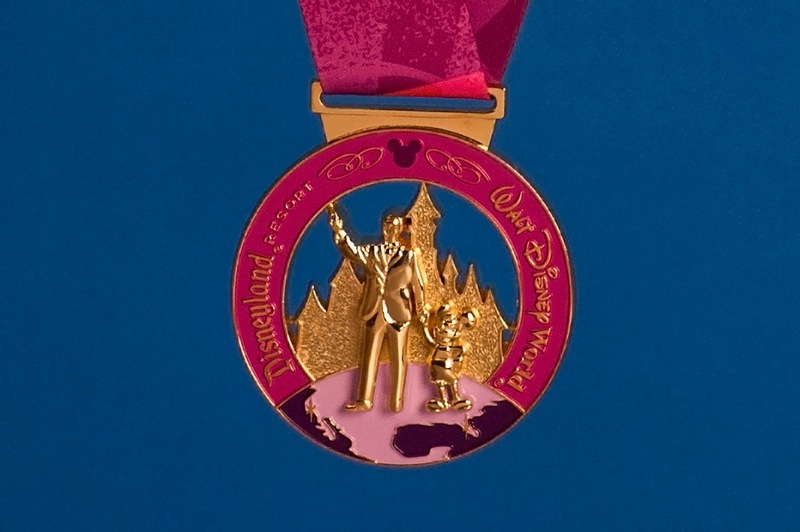 You will also get the beautiful limited edition pink Coast to Coast medal shown above (Coast-to-Coast: completing a half marathon or longer at both Walt Disney World and Disneyland in one calendar year). Unfortunately that pink beauty will not be added to my collection since Tinkerbell is the week following Dopey Challenge. My poor feet may need a break after 49.6 miles.